Bananas (Musa and Ensete spp.) produce large, elegant leaves and the occasional bunch of fruits, which certainly make a majestic addition to any garden or conservatory. Although they are tender plants, some species are hardy enough to leave outside over winter, especially in the milder parts of the UK, so they are worth experimenting with in the garden. Flowering time All year round, but often at the end of a long summer in the UK. Choose a sheltered site, with the site sloping away slightly from the plant to avoid creating a frost pocket. Shelter from the wind is also essential to prevent leaves being shredded. Plant in late spring, in a well-drained soil, enriched with organic matter (such as garden compost). Once plants are established, water and feed generously to get the best foliage. Hardier species, such as Musa basjoo, can be left in situ over winter, and it is generally recommended to wrap plants to protect from cold weather. Although this is something you can experiment with in your garden. See our advice in overwintering tender plants: wrapping for further information, and step-by-step instructions on wrapping a banana. Smaller banana species make ideal container plants, which can be placed outdoors for the summer and brought indoors over winter. Grow in a loam-based compost, such as John Innes No. 3 with extra grit (30 percent by volume). Container-grown plants need ample watering during spring and summer months. Feed at weekly intervals during the spring and summer with a general-purpose liquid feed, or mix a controlled-release fertiliser into compost when potting. In autumn, reduce watering and feeding, watering only when on the dry side in winter. Tender plants should be brought in when temperatures fall below 14ºC (57ºF) and overwintered in a frost-free greenhouse or conservatory. Pot on in spring once a year, or every other year. Size and vigour increases with size of container. Increase pot size by 5-7.5cm (2-3in) initially. Once established in 30cm (10in) pots, increase size by 10-15cm (4-6 inches) every two to three years. Garden plants are usually grown for their ornamental foliage. Some, however, have ornamental flowers and (mostly inedible) fruits. In a conservatory or greenhouse, Musa lasiocarpa, M. ornata, M. veluntina, M. acuminata ‘Dwarf Cavendish’, ‘Orinoco’ and ‘Rajapuri’, are likely to flower and may fruit once established. They may also successfully flower outdoors in favoured locations. Little pruning and training is needed. Just cut away old leaves near their base and, when wrapping up plants outdoors for winter, some stems will need to be cut back. You can propagate by sowing seed or dividing plants. Seed is the best method for Ensete species as they do not produce suckers for dividing. Most Musa species produce offsets or suckers, which may develop into fruiting stems under suitable conditions. They may also have to be thinned every few years to prevent crowding in the clump. 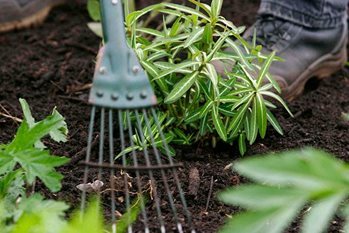 In spring, dig down to the rhizome and detach the sucker carefully, with as many roots as possible. Remove some of the lower leaves and pot in a container just large enough to take them. Ensete ventricosum AGM: Can be grown outdoors in frost-free areas. Erect, narrowly oblong leaves to 3m in length, with red midrib beneath. Height 2.5-4m (8-16ft). Musa basjoo AGM: Often grown permanently outdoors in sheltered gardens in milder parts of the country, although it has been known to survive in sheltered northerly gardens. Height 3-4.5m (10-14ft). Musa × paradisiaca ‘Rajapuri’: Deep green leaves and may produce edible fruits. Quite hardy and wind-resistant. Height 2.4m (8ft). Musa sikkimensis: Bronze markings on the young leaves and trunk. The foliage is fairly wind-resistant. Height 3-4m (10-13ft). Musa acuminata ‘Dwarf Cavendish’ AGM: Large leaves, sometimes marked red. Height under 2m (6½ft). Musa acuminata ‘Zebrina’ AGM: Grown for its red-striped foliage. Suitable for container cultivation. Height 2.4m (8ft). Musa balbisiana: Attractive bluish-green leaves. Height 4m (13ft). Musa itinerans ‘Yunnan’: Slender stems and wide arching, blue-green leaves. Height 2-3m (6½-10ft). Musa lasiocarpa: Glaucous-green foliage, produces flowers but rarely the small, inedible fruits. Height: about 1.5m (5ft). Musa × paradisiaca ‘Orinoco’: Hardy down as low as -1ºC (30ºF), producing edible fruit when grown in a conservatory. Height 4m (13ft). Musa ornata AGM: Attractive flowers and may produce inedible fruits. Height 2-3m (6½-10ft). Musa velutina AGM: Needs a minimum temperature of 16ºC (60ºF), may produce orange-yellow flowers and bright pink fruits. Height 2m (6½ft). Leaves will naturally shred in exposed situations. This is an adaptation to tropical storms and does no harm, but foliage is more attractive in sheltered positions. Limp and hanging leaves may result from under- or over-watering. Check the roots and increase or decrease watering as necessary. Brown edges suggest a lack of water or humidity. Cold, sun scorch and hail also damage foliage. Die-back of the crown is usually due to cold damage, but may also be due to rot encouraged by excessive moisture. Take care to avoid lush growth in young seedlings of hardier varieties during the winter, as this makes them more susceptible to disease. Common pests include mealybug and red spider mite.